Directed by Ridley Scott, this epic film about American soldiers in Somalia was filled with British, Australian, and few actual Americans. 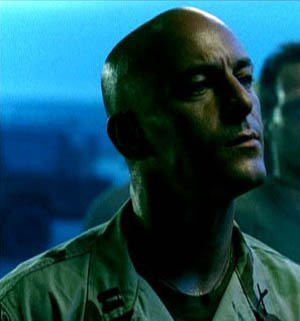 Jason played Capt Mike Steele, with a bald head and a strong Southern accent. It is reputed to be the film that is most like a real war, in comparison to other films made.